Simple, portable, and perfectly designed with new moms in mind. The Mom Washer is a peri bottle designed to make your post-delivery healing process cleaner and easier. It's way better than that hospital squirt bottle. A convenient tool both for home use and on-the-go, getting you back to baby faster. Lifetime warranty, no questions asked. 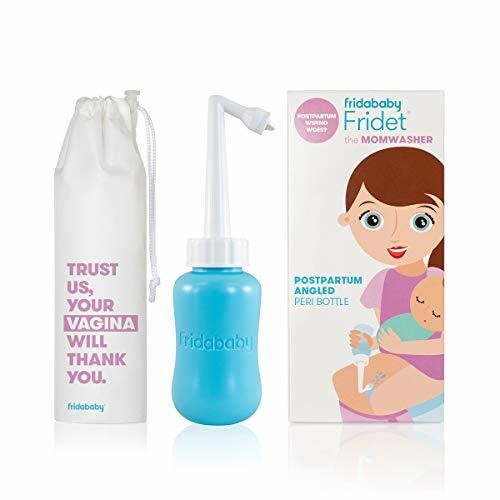 To Use: Unscrew top of Fridet and fill reservoir with water. Screw cap on securely and invert the bottle with one finger on the silver valve. Position the bottle with the tip facing the desired direction and remove finger from the valve. Squeeze bottle firmly and repeat as desired. To Clean: Disassemble the Fridet and clean in warm soapy water.